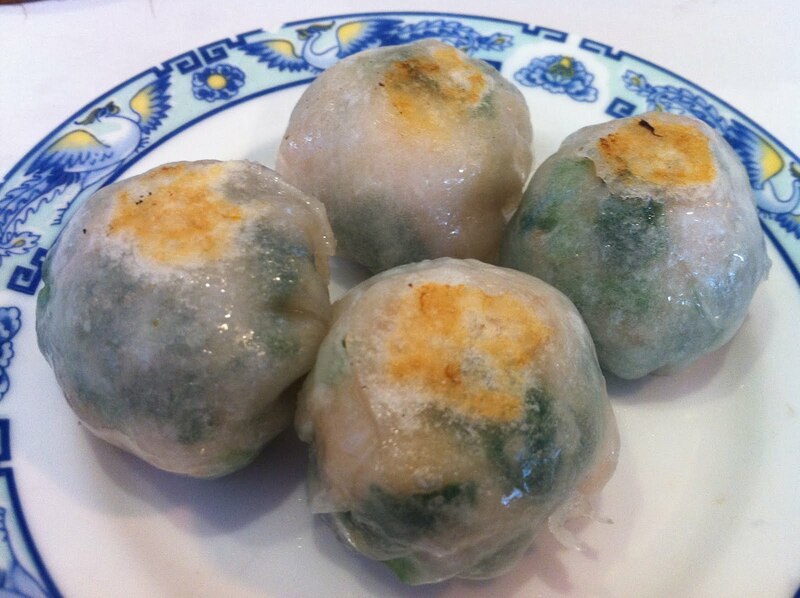 Steamed then pan fried green chives and shrimp dumplings. I’ve mentioned before that these dumplings are one of my favorite kinds of dim sum. I love the strong, sharp taste of the garlic chives and the crisp texture of the fried ends. These dumplings at Ton Kiang, however, were SO tiny! They were the size of those frozen dim sum dumplings you get at Asian markets that always seem to be on sale. Naturally, these 4 dumplings went down quickly and barely made a dent in our dim sum hunger. I also remember the filling being somewhat dense and dry. This maybe one of my favorite dumplings, but this version was a disappointment. Dipping sauces. 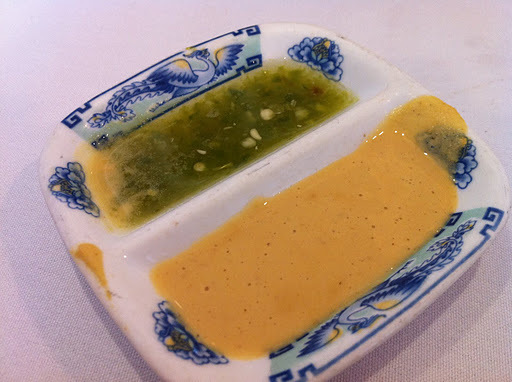 The yellow sauce was hot mustard, but I’m not sure what was the green sauce. This entry was posted in 7x7 Big Eat SF, Restaurant, Ton Kiang and tagged Chinese, chives, dim sum, dumpling, shrimp by vicentesf. Bookmark the permalink.